In the United States it was expected that there would be a big disagreement over the budget for fiscal year 2012. The budget for fiscal year 2011 was not agreed upon until nearly halfway through the year. Republicans and Democrats are completely split on numerous issues from what to spend money on to what to cut money from. And Wednesday it became evident that there is no solution coming any time soon. When presented in front of the United States Senate, the initial proposal by President Barack Obama for the budget for fiscal year 2012 was shot down. 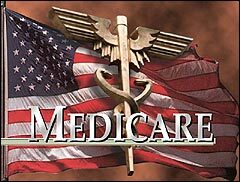 The version of the budget presented before the House of Representatives had a harsh reform of Medicare that was approved by the Republican dominated chamber of Congress. It was easily predicted that Senate Democrats would shoot down the measure. Republicans in the Senate did vote for the measure to pass, which is expected to rub numerous Americans who are in Medicare the wrong way. However, the final vote in the Democrat dominated Senate was 57-40. Republicans Scott Brown, Lisa Murkowski, Rand Paul, Olympia Snowe, and Susan Collins voted with Democrats to shoot down the proposed budget. Republicans Kay Bailey Hutchison and Pat Roberts, as well as Democrat Chuck Schumer, did not take part in the vote on Wednesday. For the proposal for Obama’s fiscal year 2012 budget, the vote was 97-0 against it. There is a call for more cuts to fight off the debt and deficit even more than is currently being done. Other Medicare and Medicaid related measures were brought to the Senate floor for a vote. The measure was shot down just like the other ones presented earlier in the day. The conflicts over the economy between the Republicans and the Democrats are strong. Democrats are willing to make the necessary cuts to better the American economy and to fend off the national debt and deficit. However, there are programs like Medicare and Medicaid that Democrats are not willing to completely overhaul in the ways that Republicans are demanding that would essentially kill the programs. The debate over how to go about resurrecting the American economy is going on strong. President Obama has put together a budget that is essentially right in the middle of the road, but that is not good enough for Republicans or Democrats. With the two parties still as split as ever on the most important issues, it is evident that any resolution is going to have to require enormous compromises from both sides.